Tree Service Ormond is your professional, trusted, and local tree service company for all of your landscape needs. We service the Ormond Beach, FL area and surrounding communities. We perform both commercial and residential work, and projects of all sizes and scopes. We can come to your home or business, and advise you on the best practices to properly maintain your trees, as well as provide you a free quote. So whether you have a New Year's Eve party coming up, a graduation party, wedding reception, or you just want to get the yard looking great, we are your local tree service company to get that done. Our schedules are always flexible, and our prices and among the most competitive in the market. Our goal for tree service Ormond Beach is to build long-term relationships with our customer base, and be your go-to tree service company. There are so many varieties of trees in Volusia County that it takes an expert to know how to care for the ones in your yard. Many people will cut and fertilize their grass and do other types of flower and shrub maintenance, but rarely do you hear about or actually see homeowners taking steps to maintain the health and look of the trees in their yard. Tree health is vitally important to how your trees and overall landscape look. That is why you should think about consulting with a tree expert if you live in Ormond Beach or the surrounding area, to see what advice they have on how to promote tree health in your yard, and how they can help you with some of it. At Tree Service Ormond Beach, this is our expertise, working with our customers to transform the look of their trees and bring their landscape to life! A wise man said that it does not matter how much you wash and wax your car, because it will still not look good if the tires are not cleaned also. That is very similar to the role your trees play in your landscape. It does not matter how nice the grass is cut, how good the flower beds look, or how well the bushes are trimmed. If your trees are left untrimmed and looking unhealthy, nothing else will matter. That is where our professional tree technicians come into play. They will know how to keep your trees looking great, and how to maintain them in a healthy condition too. One of the hardest things about maintaining the health of the different trees in your yard is knowing how to take care of each species of tree. There are few places on earth that have more of a variety of trees than in Volusia County. It takes a trained professional to handle the different treatments for tree families, such as pine trees, palms, and oaks. That is why Tree Service Ormond Beach only employs highly trained arborists to oversee all that we do. Our tree experts know how to do such things as tree trimming, tree pruning, and tree cutting in a certain way that benefits each tree variety the most. Here are some of the different types of tasks that our veteran arborists will recommend to keep the trees in your yard healthy, looking great, and to keep them from becoming potential hazards on your property, too. Coarse Pruning – this is when dead or dying tree branches that are 2 inches in diameter or bigger are removed to promote overall tree looks and health. Fine Pruning - this is when dead or dying tree branches that are smaller than 2 inches in diameter are removed to promote overall tree looks and health. Crossing branches – this is the removal of branches that are crossed which will inhibit proper shaping of the tree during growth or removal of branches that are growing in a way that they rub together. Subordination pruning – this is a type of pruning that promotes good structural balance throughout a tree. Co-dominant pruning – this is the removal of some of the large tree trunks or branches that are growing out from close to the same area. Hazard branch pruning – this is when branches are removed from near power lines or other areas where they could pose a potential danger to someone who comes onto your property. Crown Thinning – this is the removal of select branches on a tree in order to allow light to shine to all parts of the tree, allow proper air circulation and to cut down on the harmful wind resistance of the branches. Crown Reduction – This is not to be confused with what is called ‘topping’ of a tree because it’s done under the guidance of tree experts (topping is improper and harmful crown reduction that is not performed or supervised by professional arborists. It is done by shortening some of the outer branches of a tree to a suitable growth point to help shape it and promote tree health. Pollarding – a maintenance routine that is started on young trees and done at periodic intervals throughout their life. There are a lot of times where tree pruning and tree trimming are not the answer, and you need something a lot more drastic done with some of the trees in your yard, such as complete tree removal Ormond Beach. 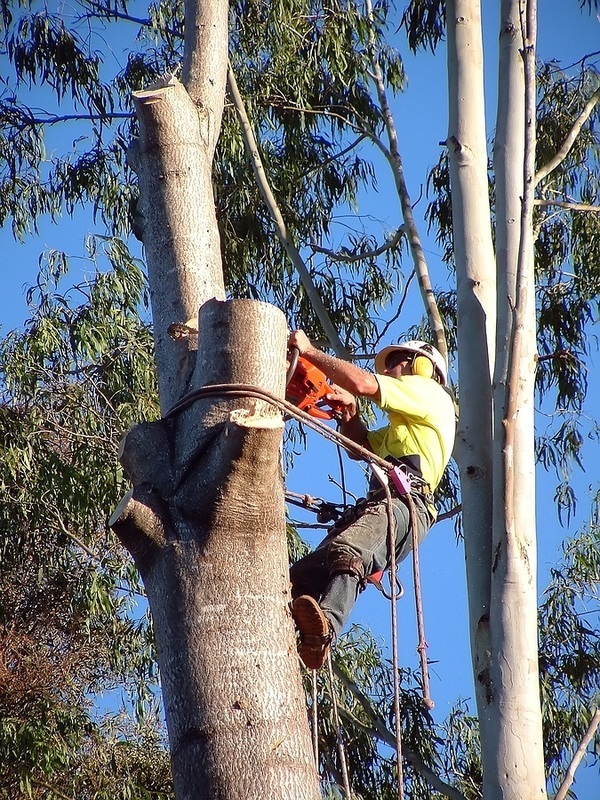 Our tree experts are experienced in this type of tree service work. We can rid your yard of old, decaying trees in a manner that will not pose any threat to surrounding structures, and also do any additional cutting or clean-up during the project that is necessary. 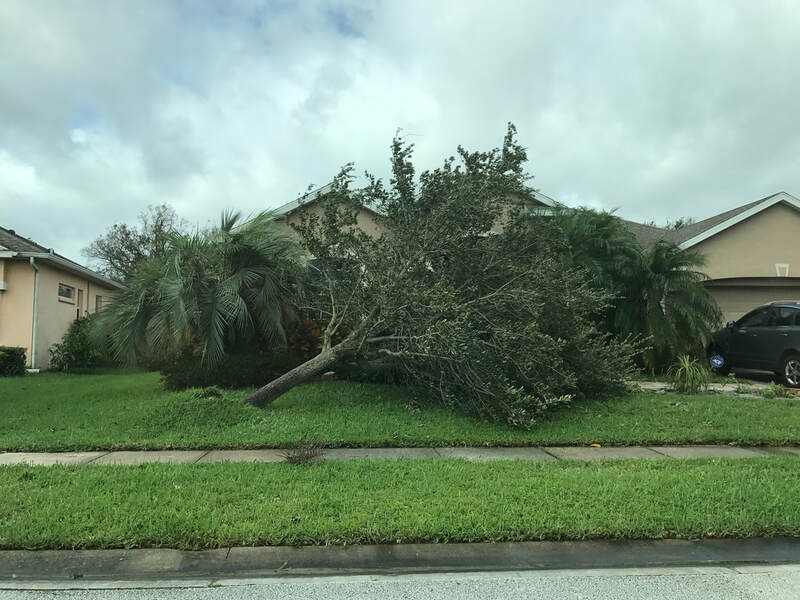 This type of preventative tree removal in Ormond Beach can be critical to preparing your yard for the threat of storms and hurricanes. There is an old saying that an ounce of prevention is worth a pound of cure! This has never been more true then when it comes to protecting your home or property from punishing storms. Once the storm arrives to your home or business it is too late to properly prepare for the danger. This needs to be done in advance, so that any trees you might have that are threatening your home or property can be properly dealt with. If you have large tree that is hanging over your home or carport, the time to deal with this if before the storm arrives! Having a stump in your yard leaves a useless unusable space, even after a tree has been removed. Our tree experts will know how to grind these down so they are well below the surface of your lawn. This will help you reclaim the area where the tree was, so that area can be seeded to grow grass or used for other purposes. Our stump removal Ormond Beach services are among the most competitive in the area, and we have all of the required equipment to make things go smoothly! 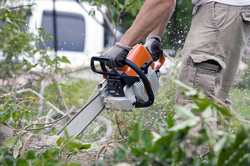 Emergency tree service Ormond Beach is also one of our areas of expertise. Because we live on the coast, we know that the threat of hurricanes is an ever present danger, as well as very nasty summer storms that bring torrential rains and lightning strikes. So if you have a tree that has impacted your home or vehicle, or even worse, a power line, call our trained professionals to handle the problem and restore your peace of mind. This can be very dangerous work, so never attempt this on your own. Severe weather and strong winds are no stranger to you if you live in the Volusia County and Ormond Beach area. 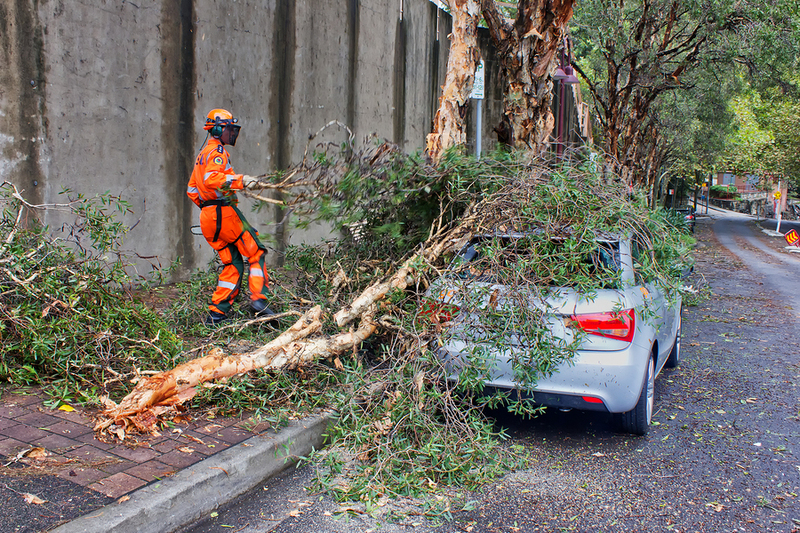 Often times these can result in trees and branches being broken off and lying in places in your yard where they shouldn’t be; not to mention the mess they create that is too big of a job to be cleaned up by most homeowners. 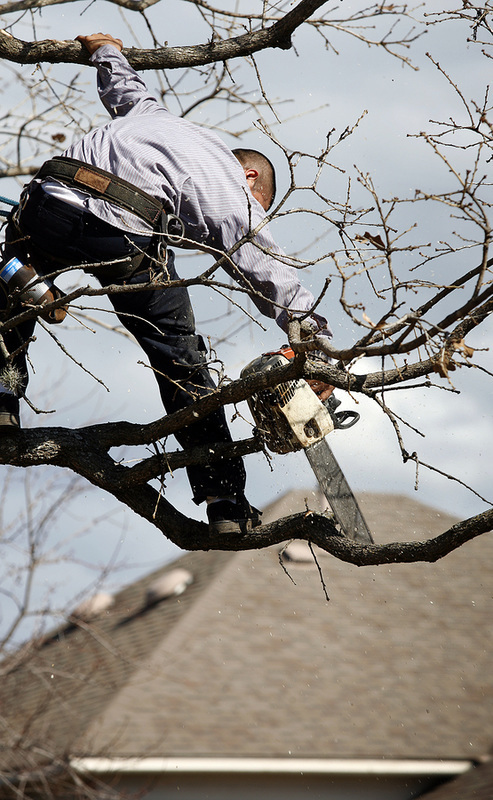 Our tree experts have the tools and knowledge to get this job done quickly, efficiently and in the safest way possible. 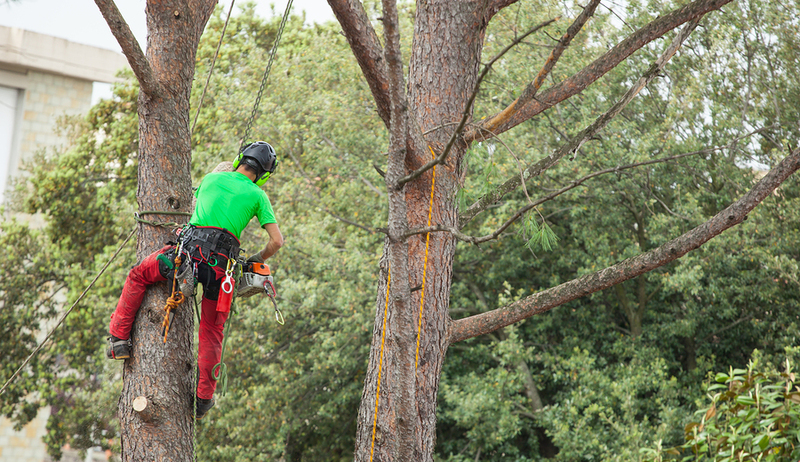 For the best possible results when you need tree work done in your yard, try consulting with a professional and reputable Ormond Beach tree service company, and there is no better company for this than Tree Service Ormond. We are familiar with all the different species of trees that are found in Volusia County and they will know the best ways to keep them healthy and looking good. So call us today at 386-267-8182 for a free estimate in some free advice on how to properly maintain your trees, and have the best looking landscape possible. We will come to your home or business and provide professional advice for all of your Ormond Beach tree service needs.